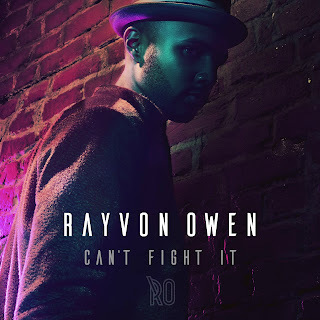 Rayvon Owen, pop artist and American Idol Season 14 finalist, announces the release of his brand new single, Can’t Fight It. With the success of Idol behind him, Owen is ready to re-enter the spotlight with a brand new track from his forthcoming EP, slated for release later this year. The music video, directed by Justin Clough, shows Owen in a club scene and not being able to fight his feelings for his co-star. As Owen tells it "When it came time to storyboard the music video, the director (not knowing I was gay) presented the idea of a female love interest but I knew in my heart that it should be a man. It just seemed like the right time." "I'm so excited, nervous, thrilled and afraid all at the same time for people to see my the music video for my new single "Can't Fight It"... For a long time, I didn't think coming out mattered because I didn't want being gay to be considered the whole of my identity. I wanted people to like me for me and my character, not my sexual orientation. I realized, however, that I was given an incredible platform with American Idol and I felt I had a responsibility to do something positive with it, especially if there was a chance that it would help others"
The track is from Owen's upcoming EP slated for release later this year. You can purchase the track on iTunes, Amazon or Google and stream via Spotify.